I thoroughly enjoyed this book because I love reading interesting, historical non-fiction and Portrait of a Secret Agent spans years of particular interest to me. While I have read extensively about WWI, it includes history I was not familiar with which made it more interesting. Most book reviews are subjective; with this book, it is very much the case me. I am currently researching my next book, a biography. In Portrait of a Secret Agent Tina Tamman demonstrates her easy writing style and comprehensive research skills; weaving together information from personal letters, diarie,s, and her own research. At times she found incomplete information but has skilfully intertwined her sources so we have a clear picture of the life of Brian Giffey. I am also relying on both personal reminiscences and research. Ms Tamman’s skills have been an inspiration for me. Ms Tamman has demonstrated how to deal with incomplete research. I smiled when I read that Brian himself put down titles for biography chapters that were never written. I have the same problem and it oh so frustrating. This is an extremely well researched and well-written book with a story that is somewhat different to what you might expect. I highly recommend it to history buffs. 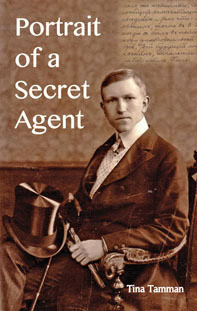 This is a book about belonging, loyalty and identity – a biography of a secret agent called Brian Giffey who wrongly believed that he was Welsh, but his mother was actually Canadian and his father German. Born illegitimate as Otto Chester Kurt Brian Petersen in London in 1887, he was brought up in Germany. On his return to Britain he obtained a degree from Oxford and, with the help of an unscrupulous lawyer, a military career became possible. Brian joined the Worcestershire Regiment in 1911. His intelligence career with MI6 started in 1928; he served in Tallinn, London and Baghdad. In 1944, however, he was mysteriously dismissed from the secret service, but in post-war years he represented Britain in Berlin on the denazification committee and, back in London, worked for the Association of Ukrainians in Great Britain. The book is also an unusual and moving love story. How was it possible for this middle-aged womaniser to fall in love with an inexperienced and immature Estonian girl to whom he remained faithful for the rest of his life? Minkie Monster and the Birthday Surprise is the second children’s’ activity book by Ceri Clark I have reviewed. Designed for children aged between three and six years old, it is a fun-filled, brightly coloured, activity book that educates and entertains. 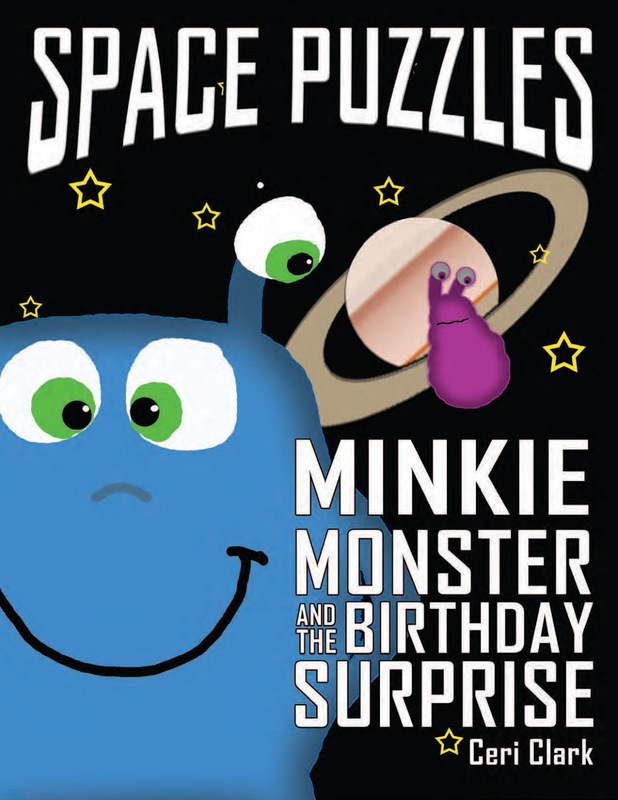 The activities are linked through the story of how Minkie, the blue monster is invited to a party but cannot remember who it if for. He is unable to find his best friend, Bob, who is always hiding. While it will amuse children on their own, because the puzzles get progressively more difficult it is an ideal platform for parents to spend time with their child and encourage reading, reasoning and learning. Both the story line and writing style are well suited to the target age groups. From the author’s website (the link is in the book) parents can download a black and white PDF version so puzzles can be used over again and the pages coloured in by your child.